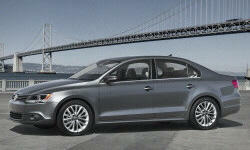 2013 Volkswagen Jetta Pros and Cons | Page 1 of 1 | Why Not This Car? What drives people to buy (or not buy) a certain car? TrueDelta's members share 2013 Volkswagen Jetta pros and cons based on their real-world driving experiences. Averaging around 41mpg in the first week - my daily commute is 96 miles round trip. That mpg paired with the fun-to-drive factor made a VW diesel an easy choice for me over the hybrids I test drove.